This recently described species, associated with poplars (Populus), is known to me only from the descriptions found in the literature. 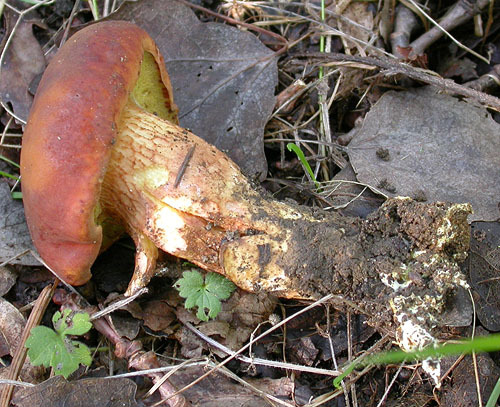 Morphologically this fungus is very close to Xerocomus subtomentosus and X. ferrugineus, but it usually has reddish coloured cap (but sometimes also reddish yellow to dark brown). From X. subtomentosus it is distinguished by the whitish flesh, soon becoming yellowish and not pinkish or brownish in the stipe base, not bluieng when exposed to air (instead of the flesh of X. subtomentosus that is normally blueing in the cap and is pinkish to brownish in the stipe base). 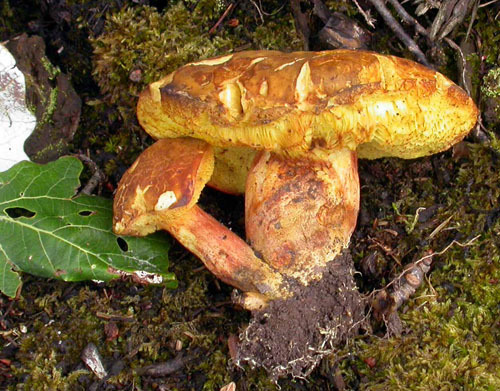 Xerocomus ferrugineus also has yellowish mycelium but it has whitish unchanging flesh and often grows under conifers. There are some differences also in the sizes of the spores, explained in detail in the paper with the original description of X. silwoodensis (Taylor & al. 2007). Habitat. Mycorrhizal with poplars (Populus). Distribution. Not yet understood, so far known only from the United Kingdom, Italy and Spain. Should be further looked for. Illustrations of Spanish collections (incl. SEM microphotographs) are published by Muñoz et al. (2008; available online). Taylor, A.F.S., Hills, A.E., Simonini, G., Muñoz, J.A. & Eberhardt, U. 2007. Xerocomus silwoodensis sp. nov., a new species within the European X. subtomentosus complex. – Mycological Research 111: 403–408.